One of the accusations often thrown at 51allout is that we’re a miserable bunch. Even when England were good (i.e. not now) there was always something to complain about. Usually it was Steve Finn running into the stumps like an errant giraffe, although the existence of Jonny Bairstow was a close second. And to the people making those accusations we say “Look Marge, you don’t know what it’s like. We’re the ones out there every day putting our asses on the line. And we’re not out of order! You’re out of order. The whole freaking system is out of order. You want the truth? You want the truth?! You can’t handle the truth! ‘Cause when you reach over and put your hand into a pile of goo that was your best friend’s face, you’ll know what to do! Forget it, Marge, it’s Chinatown!”. Or, in other words, working for Editor Steve is enough to make anyone miserable. For example: our Christmas bonus this year consisted of being whipped for a slightly shorter time than normal. To be honest, we were going to put a picture of Indiana Jones in at this point, but then Google Images brought this up and, well, it is Christmas. However, one thing that does make us happy without fail is the KFC Big Bash which is literally always good fun. Perhaps it’s the fact that it generally takes place in glorious sunshine, with one notable exception this week, on mostly flat pitches in front of mostly drunk crowds. Or maybe it’s just the presence of KFC, the finest of all the life-shortening greasy chicken brands. Whatever it is, the first round of matches were by far the highlight of our week. At least until we found that picture up there. 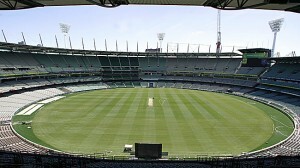 The opening game in the MCG saw two England players in action with The English Devereux (Luke Wright) coming out on top against The English Judas (Jos Buttler). Man of the match Wright was opening for the Stars and bashed 70 from 32 balls in an opening stand of 95 alongside The Australian With A Hot Wife (Cameron White, who made 53) as the nominal home side racked up 208 from their 20 overs. In response the Renegades collapsed like a bunch of Englishmen facing the short ball, losing four wickets inside the first seven overs, one of them to the golden arm of said Luke Wright. Only Buttler (49 from 28) made any sort of fist of it, his side being bundled out for just 132 to lose by 76 runs. Jackson Bird, the forgotten man of the Australian fast-bowling ranks, helped himself to four wickets in front of a crowd of around 25k, far below the pre-match predictions. The Big Bash gets underway. Sydney Thunder are literally the worst team in anything ever. They make Manchester United under David Moyes look like Manchester United under Sir Alex Ferguson, such is their complete inability to actually win games. According to our calculations, last time they actually won a game (December 2011) England were still good at cricket, Robin Gibb was still good at staying alive and Rolf Harris was still good at not ever having been charged with twelve counts of indecent assault. In front of around 18k spectators at the SCG, the Thunder started brightly – Dave Warner making 50 opening the innings alongside Usman Khawaja (66) – before falling away in typical fashion to finish on 166/6. Their two English recruits failed to make much of an impact in the middle order with Eoin Morgan making 4 from 9 balls and Chris Woakes 8* from the same number. Instead it was the Sixers’ Ravi Bopara who stole the show with four tidy overs including the wicket of Morgan. Chasing such a mediocre total, any side with Devereux in it was inevitably going to stroll to victory and so it proved. Nic Maddison made a belligerent 61 and SPDS a calm 22 before Bopara (27*) saw the Sixers home with six wickets and ten balls to spare. Undoubtedly the highlight of this game was the Sixers’ comically obese wicketkeeper/slip combo of Dan Smith and Marc Cosgrove. The Sixers had to get special dispensation from Cricket Australia to bring out chairs at the drinks break. Fortunately for the good people of Tasmania, the pain of seeing their local side get taken to pieces by Alex Hales (49 from 19 balls before running himself out for no apparent reason) was followed up by the sweet release of yet more rain, the game having already been reduced to eight overs a side by the weather. There was just enough time for one over of comedy from Xavier Doherty, the great man going for 17 from his six deliveries as the Strikers reached 87/1 from six overs before God himself decided that enough was enough, forcing everyone to watch the highlights from the Sixers game once again. The best match of the round came at the Gabba with the home side squeaking over the line in a rematch of last year’s final, thanks to some uncharacteristically wayward death bowling from Alfonso Thomas. Chasing the Scorchers’ disappointing 151/7 (built almost entirely around 57* from what looked like a fairly sober Mitch Marsh), the Heat stumbled to 22/3 before Chris Lynn (81 from 53) dragged them to within touching distance of victory. He then fell, brilliantly caught in the deep by Brad Hogg – now officially Western Australia’s oldest man after some other codger popped his clogs last week – before Ben Cutting saw his side home with a legside boundary, the Heat winning with three wickets and two balls to spare. Craig Kieswetter opened for the Heat, facing six dot balls in his first seven before walking down the pitch and nicking to slip, an innings that says more than our attempts to quantify his failings ever will. On the plus side, Dan Vettori was also playing, with his beard looking particularly splendid. 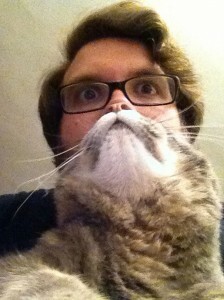 Cat beards: another thing that we definitely always enjoy. The second round of games starts later today. From then on it’s a bit of a helter skelter of non-stop games and drinking, but we’ll do our best to try and keep up.